The April 2019 issue of the Journal of Democracy features a set of five articles reflecting on Tiananmen, thirty years after the 1989 protests and their brutal suppression. The March 2019 edition of the Forum newsletter features new content, event recaps, and more. 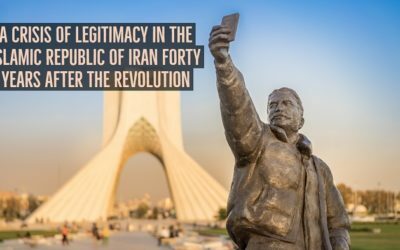 Reagan-Fascell Democracy Fellow Dr. Ladan Boroumand reflected on crucial phases that have defined Iran's state-society dialectic, and brought to light the unprecedented cultural and ideological consequences of this dynamic.